Mobility as a Service (MaaS) providers need to exceed both the practical and emotional elements of car ownership if they are to woo customers, according to a leading advocate of new mobility options. Sampo Hietanen, chief executive and founder of MaaS Global, says carmakers had not only won hearts and minds through the promise of ‘go anywhere at any time’, but had also sold a dream vision where the sun is always shining, the roads are empty and parking is plentiful. “We have to be able to bring the same dream – go anywhere at any time,” said Hietanen at the Movin’on conference, an event by Michelin. “When you’re trying to solve the ever-growing challenges of transportation in cities – the congestion, the pollution, the cost and safety issues – what you are actually trying to crack is not a logistics challenge, but the complicated geography of human desires, fears and habits related to traffic. Using shared public transport may never have the romantic allure of a gleaming car and an open road, but the evolution from ownership to usership to experience offers a chance for MaaS providers to present a different vision of travel that rewards customers with the gift of time. If the average driver spends 90 minutes per day driving to and from work, converting that into leisure or business time by removing the responsibility of driving could be a trump card, says Hietanen, suggesting that, with the advent of autonomous vehicles on the horizon, travellers will be able to summon a vehicle kitted out as an office, gaming pod or even a restaurant. This bold vision needs competition to survive and thrive, says Hietanen, and he calls on city authorities to move beyond pilot projects and throw open the market for rival companies to present different MaaS offerings. And it’s not just disruptive start-ups that are picking up this competition gauntlet. PSA Group, for example, has already seen more than a million downloads of its Free2Move app, which gives users access to a shared car, scooter or bike, and will launch an electric car-sharing service in Paris in the final quarter of this year, starting with 500 Peugeot and Citroën cars. 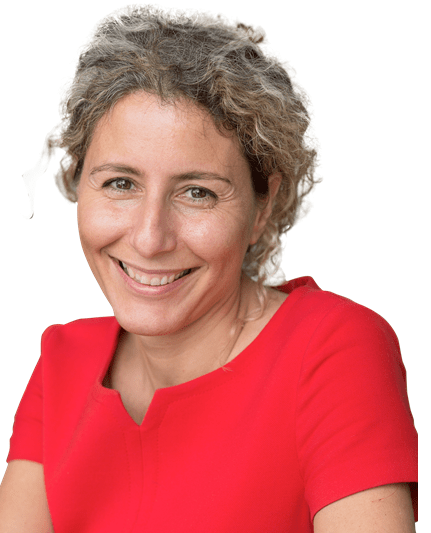 PSA Group executive vice president, mobility and connectivity services, Brigitte Courtehoux (below) sees a blurred line between MaaS partners and competitors. “Let’s create the market and make sure the customer has the choice,” she says. Even the decision about whether to own a car or join a car sharing club is blurring due to new finance and ownership packages. New peer-to-peer car sharing start-ups enable a customer to lease a car and, when it’s not needed, make the car available for other people to drive via a pooling arrangement. Dependent on usage, fees from pooling the car could cover the cost of the lease although the tax situation is unclear. “The younger generation is coming back to the car dealer because of these kinds of solutions,” said Courtehoux. Models of car ownership may be changing, but the car is still central to many mobility solutions, she added. “Cars are freedom to move. We are all talking about cities, but lots of people do not live in cities. And, thanks to mobility solutions, people who did not own a car are now able to use one,” said Courtehoux. Indeed, there’s a compelling case that the car is winning the battle over public transport within mobility solutions, thanks to the ease and convenience of ride-hailing taxi services, such as Uber. A Tokyo-based construction firm has introduced an on-demand travel service for its 1,300 employees. In a year-long trial, the Mori Building Company has adopted the HillsVia app to help its staff travel to and from work and around the Japan’s capital. Via Mobility Japan integrates with the existing public transport infrastructure, running shuttles where buses and trains don’t currently travel. The technology groups together passengers heading in the same direction into shared vehicles, such as a minibus, and guides them to a nearby ‘virtual’ stop where they can be picked up by a professional driver. The system is underpinned by an algorithm designed to minimise delays from stops, and to plan the most efficient route in real-time. 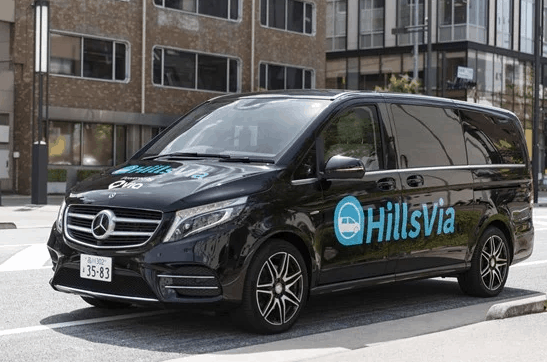 In Tokyo, the Mori employees will have access to lifts in a fleet of four seven-seater Mercedes-Benz V-Class MPVs. Via already provides on-demand shared rides in the US, Australia, New Zealand and Europe, through ViaVan, a joint venture with Daimler. The service launched earlier this year in Amsterdam and London where, as an introductory offer, rides to zone 1 cost just £3. ViaVan aims to offer cheaper rides than taxis and ride-hailing firms, and claims to cost only a little more than public transport while delivering the ease of an on-demand, corner-to-corner service. 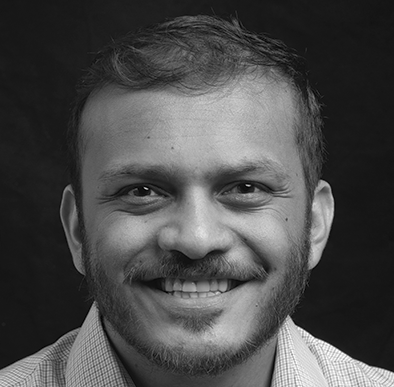 Company vehicles could play a key role in the creation of maps for self-driving cars, and earn revenue in the process, says Neehar Garg (below), product lead, Mapper. As companies continue to work towards self-driving cars, a constellation of new business opportunities are beginning to emerge. One is building and maintaining maps for autonomous cars, which vary greatly from the traditional maps drivers use to navigate. For fleets, building self-driving vehicle maps can both generate substantial revenue and make themselves essential to the broader autonomous ecosystem. When you think of maps, you likely think of the one you pop open on your smartphone and the blue dot that tells you where you are. However, these maps are not sufficient for self-driving cars, because these vehicles lack human common sense. Common sense is used to refer to the obvious, but it’s actually incredibly difficult to replicate in code; it comes from thousands of years of evolution, countless small cues from your surroundings, and makes your brain far better at pattern matching than anything fashioned from silicon (so far). Because common sense is so powerful, human maps can be a little less precise. They rely on GPS and simple GPS receivers (like those in an iPhone), accurate to a few metres. The blue dot tells you you’re on the High Street, and then relies on your common sense to not drive on the pavement, even though the map doesn’t actually know the difference. On the other hand, a self-driving car lacks that essential common sense to interpret context. As a result, a machine map must be incredibly precise – the car must know where it is within 10 cm. It must be able to convey more granular instruction, things like which lane the car is in, the traffic rules that apply to that lane, and even the height of the car and elevation of the road. In addition, it can never turn off – it must continue to provide that granular info even when GPS signals are weak or missing. While humans can, of course, just drive routes from memory without an external map, machine maps provide a much more crucial role for self-driving cars. For one, a good map allows the car to localise – knowing where the car is within a few centimetres is crucial to understanding what rules it should be following. An accurate and up-to-date map lets the in-car computer focus its attention on what is moving or changed in its surroundings, rather than trying to recalculate every inch of the world over and over. The more a scene is pre-mapped, the safer and more reliable the onboard computer becomes. As a result, it’s crucial that machine maps stay up-to-date. They must incorporate construction zones, lane marking changes, new traffic rules – anything that changes. Building and updating these maps in any large city is a huge and necessary task. This takes coordination across a large city, and that is far easier with working vehicles that are ready to take on new tasks to increase revenue streams. As a result, fleet operators will have a huge opportunity to build a new business from mapping tasks – mapping can provide a consistent source of jobs, increasing fleet utilisation and taking advantage of the scale of the best fleets to get 100% coverage of any city where maps are needed.